Pine Grove and Dr. Carnes opened Gentle Path in Hattiesburg ten years ago, developing a sexual addiction program establishing Pine Grove as a leader in specialized treatment for sexual and intimacy disorders and trauma. “I am grateful to Dr. Carnes for his contribution to Pine Grove, research, and to addiction treatment globally. His dedication and passion for treating addictions has made a great contribution to our industry and to the care of those suffering with sexual addictions,” said Sanford. Pine Grove has posted Dr. Carnes’ letter describing the key factors of his transition plan on their web site. Dr. Jes Montgomery is the psychiatric medical director for Pine Grove’s sexual addiction program. Having trained and worked closely with Dr. Carnes for over twenty years, Dr. Montgomery’s reputation and expertise in sexual addiction treatment, research and addiction medicine is nationally known, especially by his longstanding history of public speaking, scientific presentations and educational lectures. "I take great pride in the expertise of our clinical team. 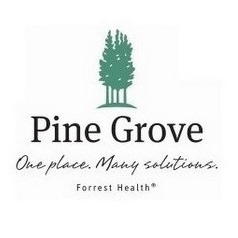 Their talents, efforts and personal investments remain the core of quality treatment in this area of Pine Grove. I am looking forward continuing to maintain and improve the quality, access and coordination of care for our patients,” said Dr. Montgomery. Deborah Schiller continues in her role as the Program Director of Pine Grove’s sexual addiction program. Gregory Futral, Ph.D., Licensed Psychologist and Clinical Director, who began working at Pine Grove in 2000 will continue to guide the program as they have in the past. Their combined experience in treatment, supervision, and patient care are fundamental to the staff and the development of a world class program.